We’re excited to announce that in collaboration with writer Pirjo Raits and the people at Heritage House Publishing we have a launched a book titled Out of the Woods. 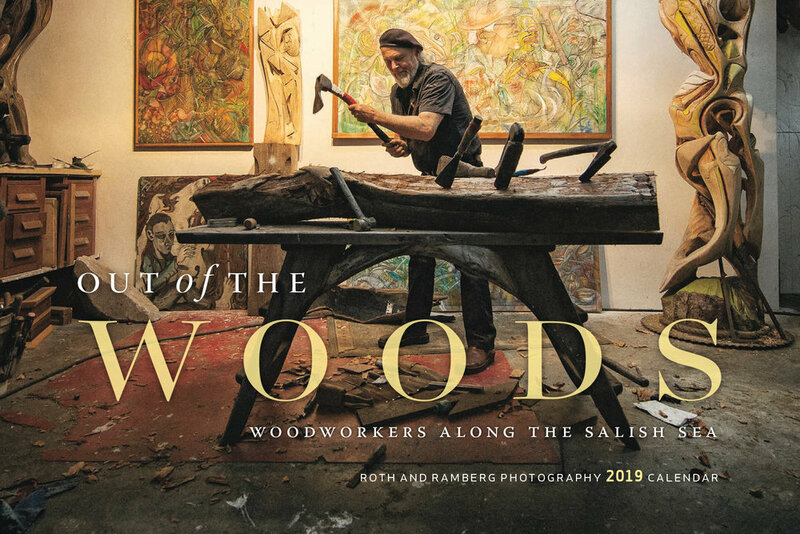 A breathtaking art book profiling twenty-six wood carvers, sculptors, and artisans who draw inspiration from the natural beauty of the Salish Sea. It could be a pile of driftwood on a rock-strewn beach resembling the bleached bones of some ancient creature. It could be the old growth of the lush coastal rain forests, or the winds that blow across the water like a life-affirming force. The Salish Sea inspires artists working in many mediums, but there is no greater representation of the symbiotic relationship between natural environment and creative energy than woodworking. Out of the Woods profiles twenty-six dynamic artists who use wood to create an amazing range of work. Among them is Pheobe Dunbar, a carver who searches for hidden treasures among logging waste to create one-of-a-kind bowls and vessels. Charles Elliott, a member of the T'sartlip First Nation, is a world-renowned carver and tireless advocate for Coast Salish art. Mike Randall is a west coast modernist who creates furniture and lighting that is minimal in size but large on impact. Carey Newman, Kwakwaka'wakw master carver, mentored by the late Bill Reid, takes a contemporary yet traditional approach to his work. Although they have diverse backgrounds and practices, these woodworkers place importance on sustainability, preservation of wild places, and respect for natural materials. Featuring exquisite photography of the artists in their studios, and full-colour images of their works, Out of the Woods is a stunning display of skill, creativity, and the depth of artistic talent along the Salish Sea. You can order copies online at Chapters and Amazon but better yet, check out our Store and get a signed copy or special limited edition box with original print and calendar included.